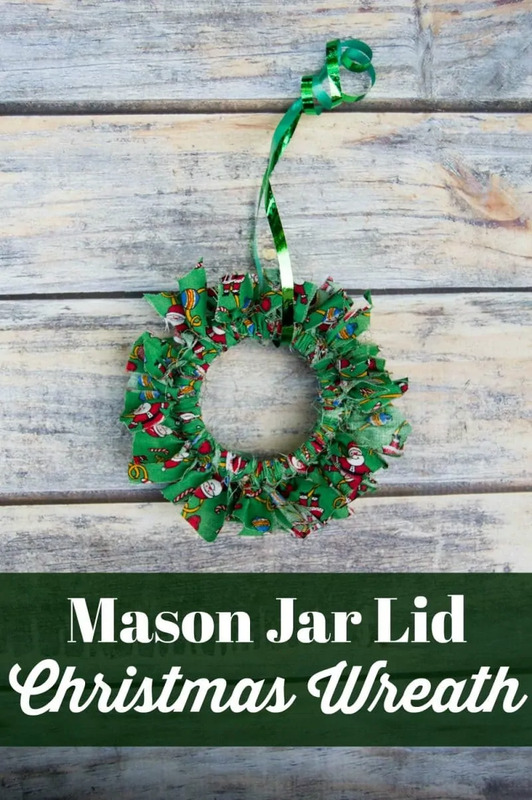 Mason canning jar lid Christmas wreath ornaments are great for giving your tree that homemade rustic feel, and can be customized with any color fabric. 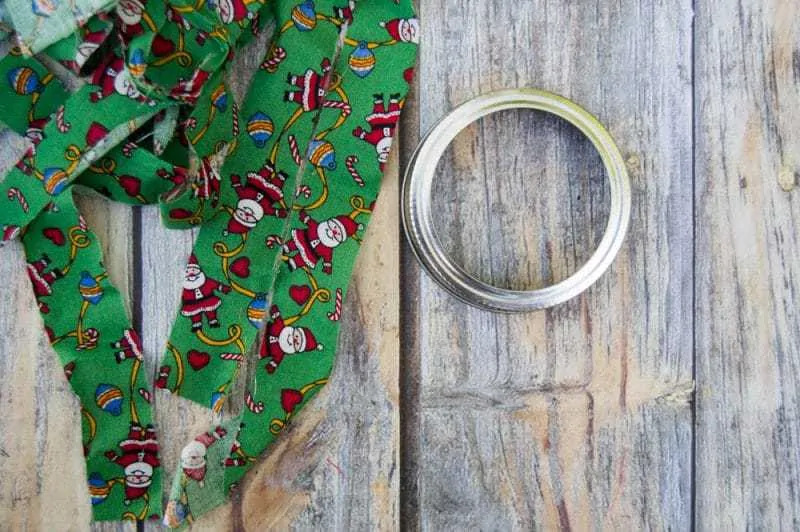 If you don’t can food, you may be wondering what to do with those rings from your mason canning jars. It seems a shame to toss them. Surely, they can be used for something. They can! 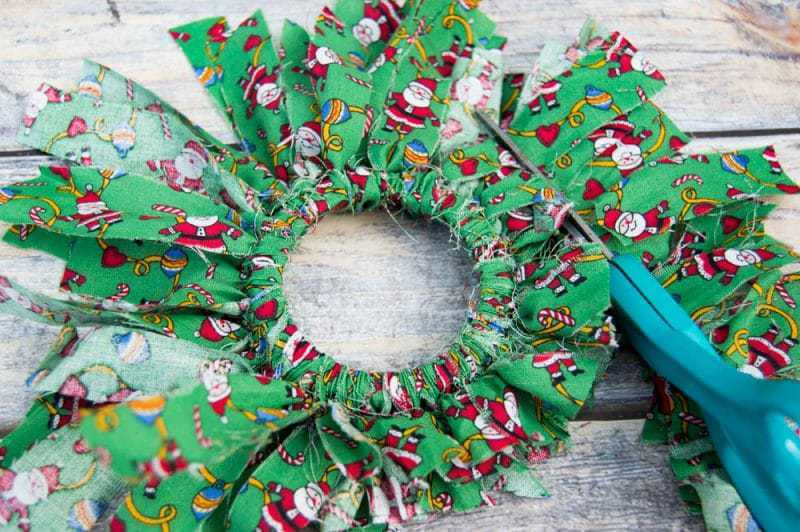 In fact, you can use them to make these really cute DIY Christmas wreath ornaments. Best of all, this is an excellent craft for using up scrap fabric that you might have lying around. 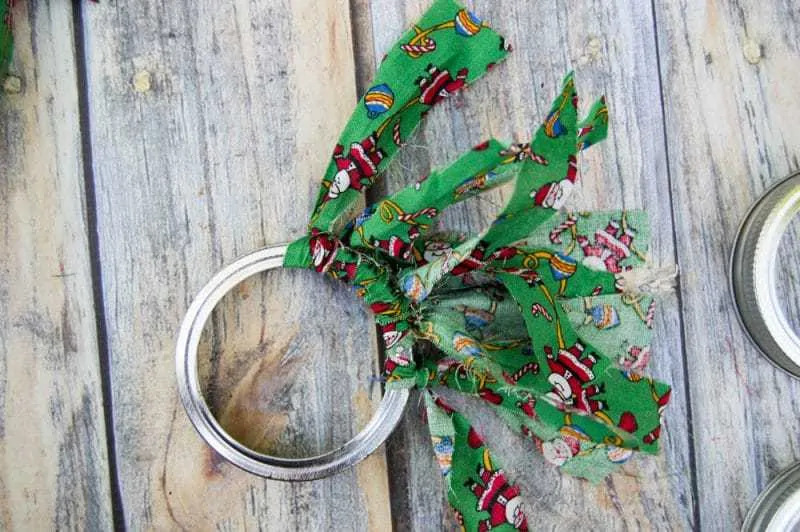 The rustic look is certainly a favorite and these mason jar lid Christmas ornaments are perfect for that look. They are also so, so easy to make. Basically all that you need to do is cut your fabric into strips and then them around the ring. Than, once you’ve tied all the fabric around the ring, cut the fabric to the desired length. 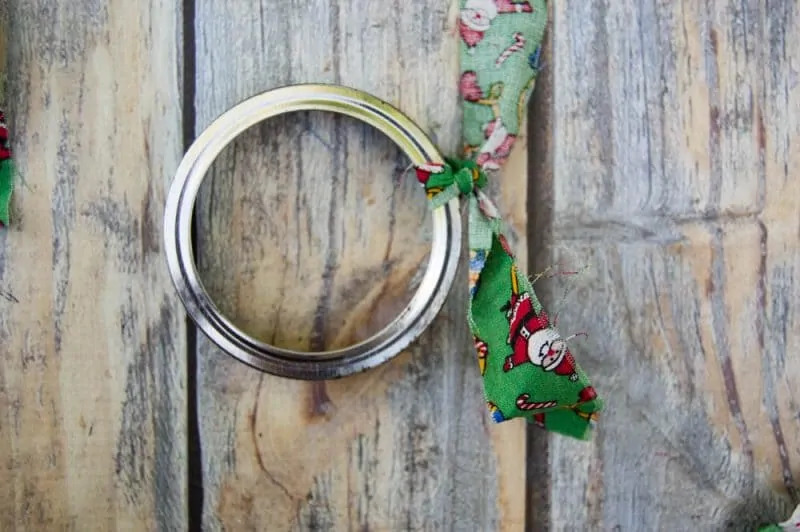 You can make these cute DIY mason canning jar lid Christmas wreath ornaments with any kind of fabric. A buffalo plaid fabric would be perfect for a rustic look. 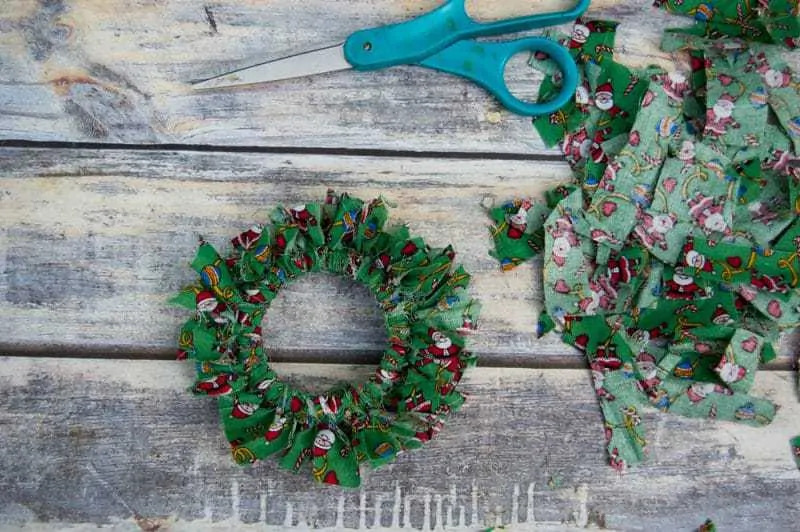 You can even use more than one kind of fabric per ornament. Just have fun with it. 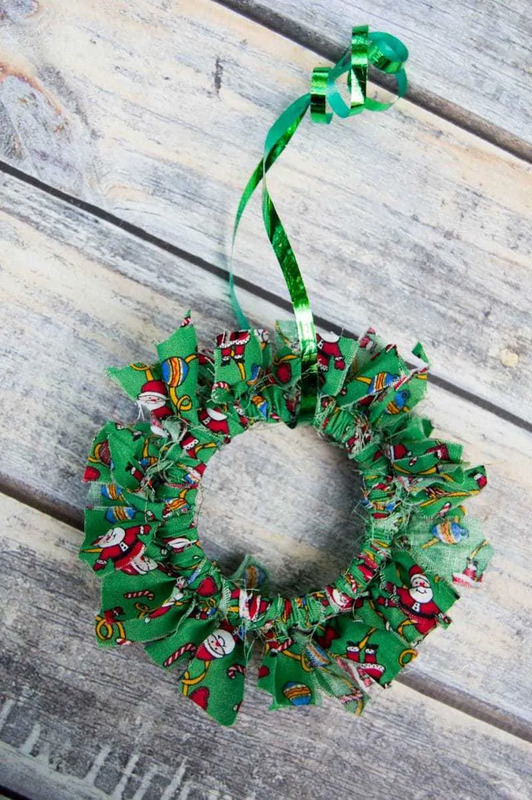 If you want, you can dress these up a bit more by adding beads or sequins to look like ornaments on the wreaths. Make sure you get the kids involved with this fun craft. It’s so easy that children of all ages can do it. Also make several to hang from your tree and to give away as gifts. It’s the perfect craft to do on a snow day. Cut fabric into 20-30 strips. (amount will depend on size of mason jar lid and how full you want it.) They don’t have to be exact. Approximately ½ inch wide X 8 inches long is good. This gives enough room to tie without being too short. You will trim length once complete. Tie each strip to the mason jar lid. It is best to double tie each one to ensure fabric strips do not loosen and fall off. Add more strips until the ring is covered. You can push the tied strips together tightly to get a more full look. You will just add more fabric strips. When all the strips are done being tied, cut around with scissors to shorten to desired size. 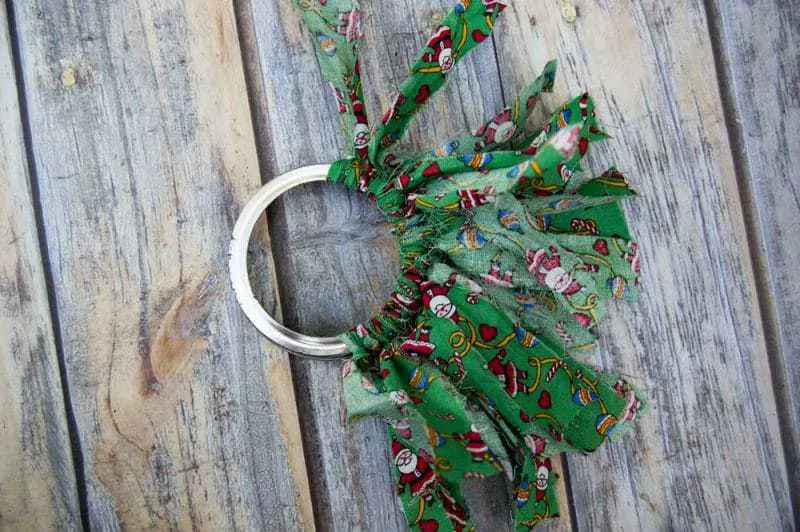 Tie with a long piece of fabric or ribbon to use to hang your wreath on the Christmas tree – or anywhere else around your home that your would like to add some Christmas cheer! 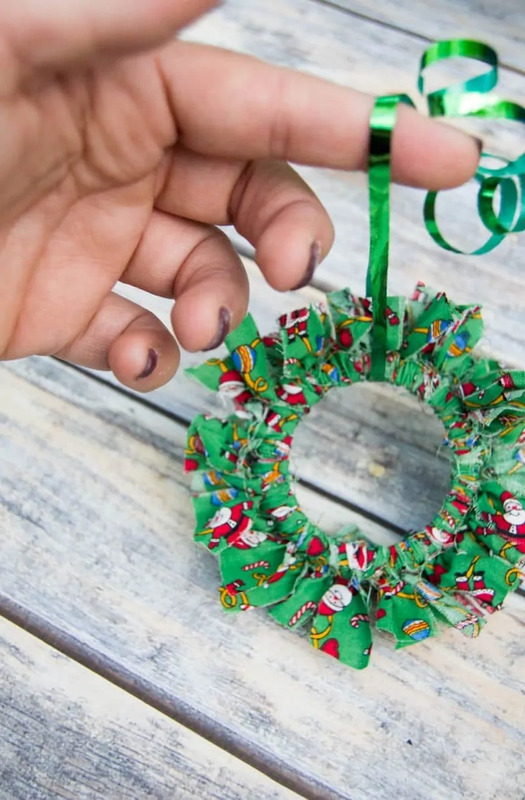 I hope that you enjoyed this fun DIY Christmas ornament craft and that you have a very Merry Christmas! 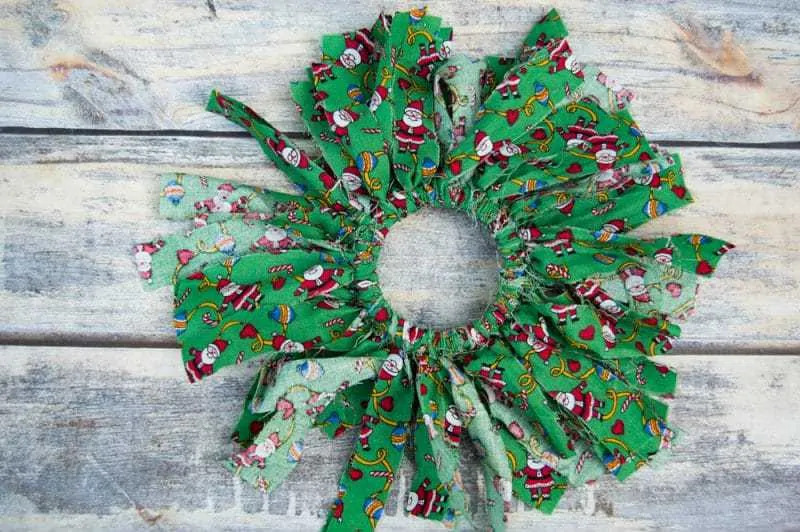 This is a cute wreath to make and give as a Christmas gift. Thank you for sharing. This is such a great idea. I will have to show the grandkids we will give this a try. How cute! These are adorable and easy enough that you could make them to give away! These are seriously adorable and SO easy!! I just love your creativity!! I would’ve never thought of this! This is cute,simple and clever! What a cute Christmas tree ornament! So easy to make and one can add other embellishments to it as well. Thanks for sharing this!